Stock photos are necessity for any designer. They're useful for both mockups, and finished projects, especially when the client doesn't have photos of their own (which is most of the time). This deal from Photoz Mania includes 250 stock photos PLUS 180 extras that are already cut out and on transparent backgrounds. The majority of work you do as a graphic designer is for other businesses and non-profits. This could range from gyms, medical offices, clubs, spas, schools, churches, and more. 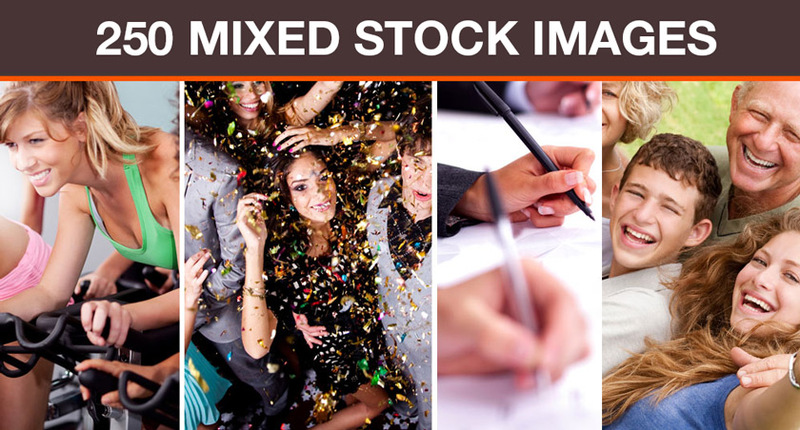 This bundle of stock photos was created with these things in mind, so you'll find a ton of useful images for a whole bunch of different projects. These 250 photos come as JPG files and weigh in around 4,000px+, so they're useful for both print and web design. It would take up A LOT of space if I were to post thumbnails of all the images here, plus they're already set up nice and pretty-like on the Photoz Mania website. Sometimes it's not enough to use a standard stock photo, because the client wants you to add some special graphics, or combine multiple images for a custom look. That's where this bundle comes in. 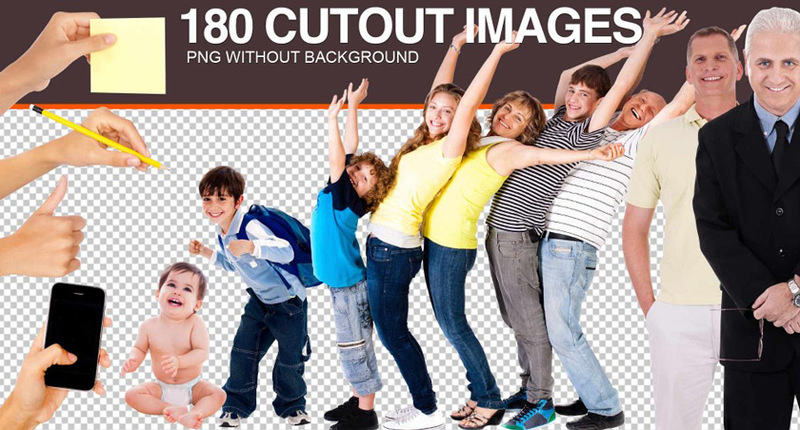 This pack contains 180 images in PNG file format, and they have all been painstakingly cut out from their backgrounds, saving you hours of tedious work and bringing you drag-and-drop ready files. These 180 photos come as transparent PNG files and weigh in around 4,000px+, so they're useful for both print and web design. Most stock photos include a license that only allows use for a single client in a single project before you have to go back and pay for it again. This deal lets you use ALL of the images an unlimited amount of times for an unlimited amount of projects. Plus, you can use these photos in items you design for resale (as long as the photo isn't distributed in its original form of course). That means you can use them in website themes, business card templates, and more. Normally, extended licensing like this would cost you 5-10x more. If you were to go to a stock photo website, you'd be looking at anywhere from $1-$10 for a decent, web-sized image. With this deal, each image comes out to just 6 CENTS each. Normally, this entire package would cost you $97. For a limited time, you can get all 430 photos for just $27. That's 72% off the regular price. After purchase, download instructions within a ZIP file will be emailed to you. Files are provided in JPG and PNG file formats. Files can be used for personal, commercial, and extended use.